Lets be honest – one of the best things about being a parent is having an excuse to watch kiddy movies. 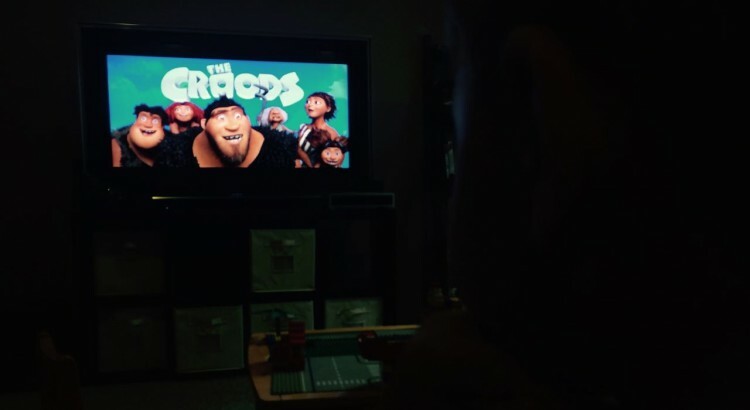 This weekend we re-watched The Croods, for the zillionth time. For a while it was my eldest’s favorite film, but has since been replaced with A Night of the Museum. This typical Hollywood blockbuster follows the journey of the last cavemen family – ‘The Croods’. Unlike other cavemen families, they have managed to survive being eaten, or getting sick, or consuming poisonous berries, or freezing in bad weather, all achieved by staying in their cave and resisting the temptation to be curious. In his desire to keep the family safe, the Father teaches his children to never think differently, he believes that thinking differently is bad and will get you killed. Obviously we know where the film is heading – the Croods are about to survive certain doom by thinking differently. Forced to leave their cave after an Earthquake, the family embark on a journey and meet Guy, another cavemen who brings with him new ideas (though I think he’s meant to be from a more intelligent species as well). The Father sees the character of Guy as a threat at first, but after a number of close calls he soon realizes that Guys ideas are the only thing that will save his family from volcanic eruptions and earthquakes that are consuming the land around them. The Croods is a great movie, and I believe a sequel is in the works, but there is also a hidden call for creativity sandwiched within the storyline. Young children naturally think differently, they’re curious, open-minded, can tolerate ambiguity, and produce and consider many alternatives. Unfortunately, we as adults are not always great at cultivating this type of thinking and very quickly impose rules and ways of thinking that can threaten the natural characteristics that allow their creativity to flourish. This challenge only increases in education as the required learning of specific content quickly assumes priority. Education institutions are becoming increasingly aware of this situation and some are making genuine attempts to change, but parents must assume some level of responsibility and allow for some level of curiosity and ambiguity within the home. We’ve certainly written a lot on this subject during our creativity chit-chats, but as I reflect on storylines in recent films that I’ve watched I’m able to quickly reference other titles that offer similar calls for creativity. For example the storyline in The Lego Movie, centers on the battle against Lord Business who requires everyone to stick to the instructions, and adult films such The Divergent series is about a culture that considers thinking differently a threat. What exactly is Hollywood trying to tell us? Or rather, why are we as a society producing these types of storylines? If we already know it’s a problem, then surely the next stage is to do something about it – as our child’s first teachers it’s important that we’re conscious of the situation and make efforts to recognize and encourage creativity in the home. Pingback: MAKING CONNECTIONS: I need more 'input' Daddy!